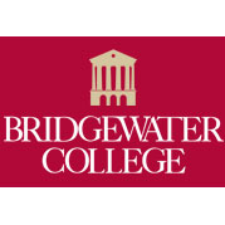 The often turbulent years following the surrender of Gen. Robert E. Lee at Appomattox and how the nation adjusted to a post-war footing is the topic of the 10th Annual Bridgewater College Civil War Institute, to be held Saturday, March 18, from 9 a.m. until 4 p.m.
Ayers has written and edited 10 books. The Promise of the New South: Life After Reconstruction was a finalist for both the National Book Award and the Pulitzer Prize. In the Presence of Mine Enemies: Civil War in the Heart of America won the Bancroft Prize for distinguished writing in American history and the Beveridge Prize for the best book in English on the history of the Americas since 1492. He was awarded the National Humanities Medal in 2013. Janney’s research focuses on the Civil War and how the war generation remembered the nation’s bloodiest war. Her first book, Burying the Dead but Not the Past: Ladies’ Memorial Associations and the Lost Cause (2008) explores the role of white southern women as the creators and purveyors of Confederate tradition in the immediate post-Civil War South. Her second book, Remembering the Civil War: Reunion and the Limits of Reconciliation is a volume in the Littlefield History of the Civil War Era and examines how the Civil War has been remembered between 1865 and the 1930s by northerners and southerners, men and women, white and black. Janney also serves as a co-editor of the University of North Carolina Press’s Civil War America Series and is the in-coming president of the Society of Civil War Historians. Alford is a founding board member of the Abraham Lincoln Institute of Washington, D.C., and is an internationally recognized authority on John Wilkes Booth and the assassination of President Abraham Lincoln. He is a member of the Ford’s Theater Advisory Council. Alford is also the author of Prince Among Slaves, which was made into a PBS documentary in 2007. The book tells the story of Abdul Rahman, an 18th century Muslim prince from what is now Guinea who was captured and forced into slavery in the Old South. Prince Among Slaves was made into an award-winning documentary shown on public television in the United States in 2008 to an audience of more than four million viewers. The book, republished in 2007 to mark its 30th anniversary in print, was recently translated into Turkish. In 2010, Alford received the Outstanding Faculty of Virginia Award from the State Council on Higher Education. This is the highest teaching honor given to college and university faculty in the Commonwealth of Virginia. Dr. Adam Zucconi is an associate professor of history at the Richard Bland College of William and Mary, and a 2009 Bridgewater College alumnus. His topic for the Civil War Institute will be “‘Some’ Mountaineers Are Always Free,” a play on the motto of West Virginia, which is “Mountaineers Are Always Free.” His presentation will focus on how the politics of slavery influenced what became West Virginia before, during and after the Civil War. Zucconi’s research interests include 19th century politics and political culture, slavery, and West Virginia and Virginia history. He is currently revising his dissertation, which focused on slavery, sectionalism and statehood in western Virginia.